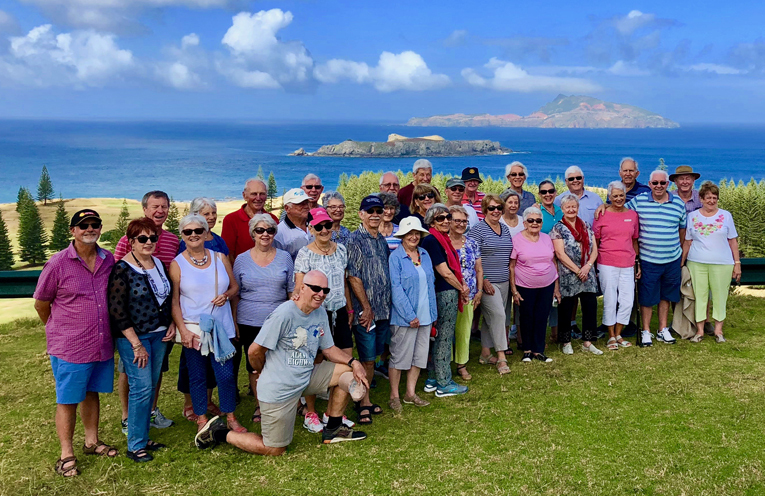 MEMBERS of the Tomaree Probus Club and their partners have returned from an enjoyable seven day holiday to Norfolk Island where they gained an insight into the second penal colony in Australia. In all 34 members and their partners made the journey to the second penal colony. Highlights of the trip included a traditional dinner in the convict settlement; a high tea at Forresters Court on the cliff edge at Cascade Bay, a walk through time at the Pitcairn Settlers Village and a visit to the home of the late Dr Colleen McCullough author of 27 books, most being international best sellers including The Thornbirds. Golf, fishing and bushwalking were also enjoyed by the more active members of the group. The group also enjoyed visits to private homes and farms on Norfolk and were enthralled by the stories of their hosts’ ancestors and life in general growing up and surviving without a lot of the basics which we take for granted.